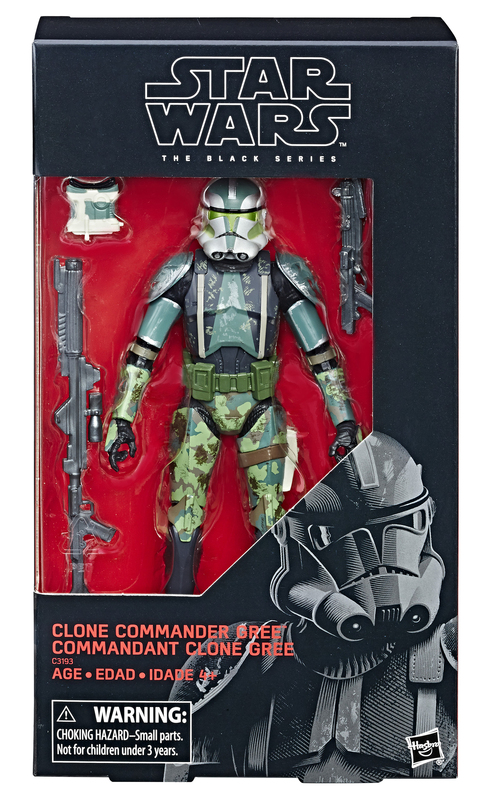 Entertainment Earth has updated their listing for the fan channel exclusive 41st Elite Corps Clone Trooper to include a shot of the cardback. 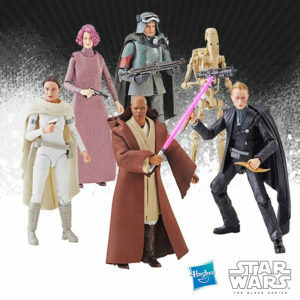 Entertainment Earth has also listed preorders for 6″ Black Series Wave 20. ETA April 2019. 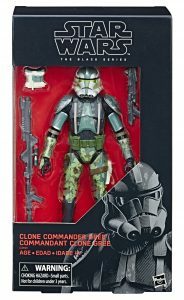 For those that missed out on the first release of the Toys”R”Us Exclusive 6″ Black Series Commander Gree from 2017, word is (via the 6″ Black Series Collectors group on Facebook) that he may be available sometime again in the near future as distributors have started receiving solicitations and opening preorders again. 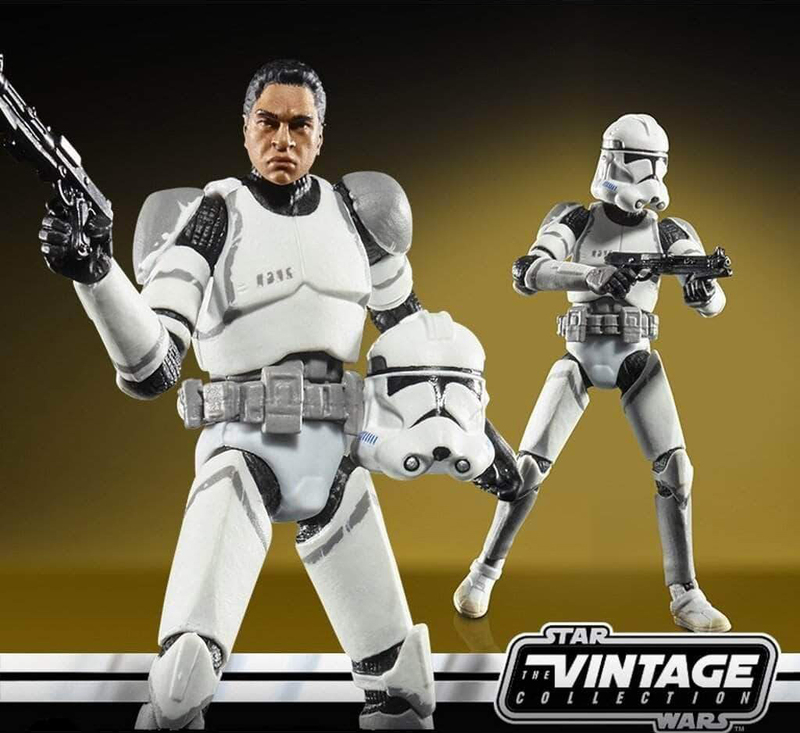 After an extensive search online, we’ve located and added the UPCs and Walmart SKUs for the second wave of 6″ Black Series Archive (BSA) figures to our 2019 Master List of products. 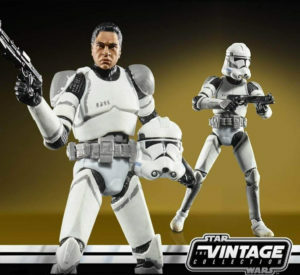 As you recall, Hasbro officially announced back in October at NYCC 2018 that wave 2 would consist of Anakin Skywalker, Yoda and the Biker Scout/Scout Trooper. Darth Maul* on the other hand has been on our rumor lists for a while and based on the UPC info found above, we now have Maul’s accurate (yet unofficial) confirmation. Case breakdown isn’t known at this time but we can guess that it will be similar to Wave 1 with a 2x pack out. *Note: the image for Maul is not of the actual BSA figure. Hello there. 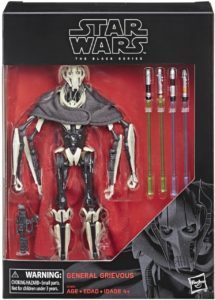 Hasbro has released boxed and loose images for the upcoming 6″ Black Series General Grievous Deluxe figure. Click on through for the images. Preorders open this week (Wednesday). 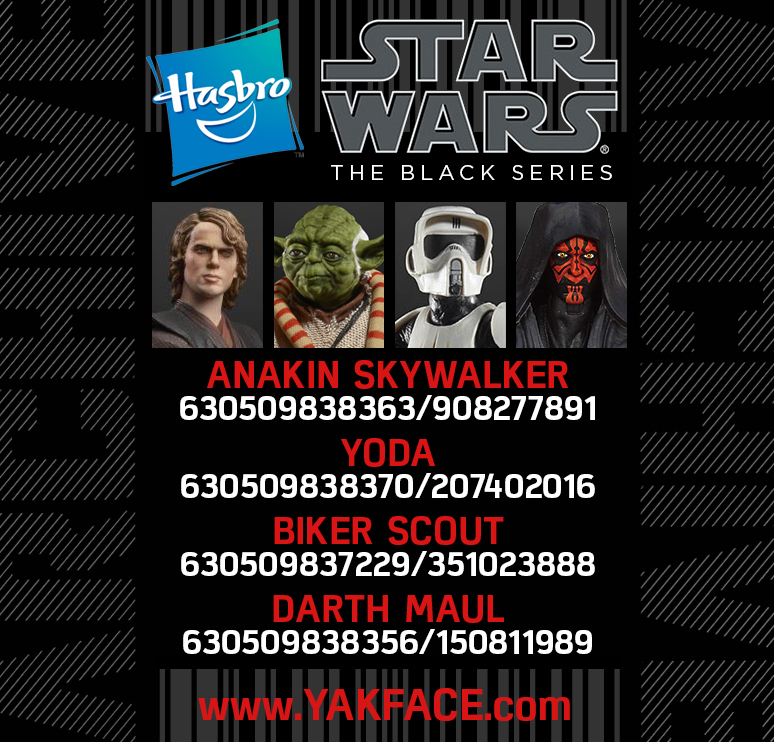 Hopefully you saw our rumor report of upcoming 6″ Black Series figures we posted last week prior to SDCC. 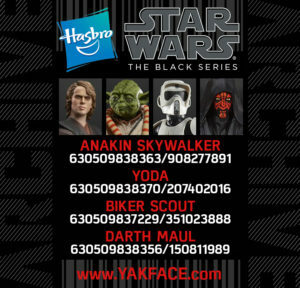 Only a few were revealed but as promised, here are the UPCs and Walmart SKUs for those main line figures. These have been added to our Master List as well. 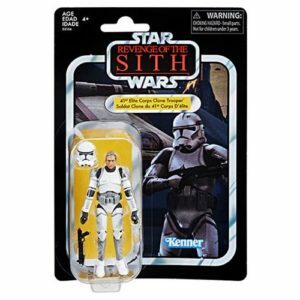 Watch for our UPC update regarding the rumored and revealed Vintage Collection figures soon. 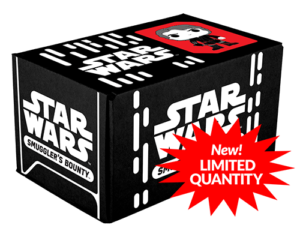 Yesterday marked the close of the “Solo” Smuggler’s Bounty box from Funko and today they have announced the theme for its follow-up coming in July – Revenge of the Sith! Order yours today – quantities are limited. 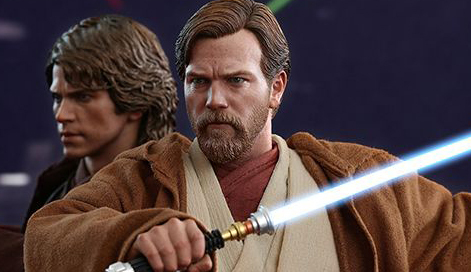 Hot Toys has revealed their next Movie Masterpiece Series 1:6 scale figure from Revenge of the Sith: Obi-Wan Kenobi. Collectors will have an opportunity to decide between two version. Click on through for the details. Update: Preorders are open for the standard and deluxe versions. Thanks flyguy for the tip and SideshowFreaks for saving the particulars.